Day Tay Plastic Industry Ltd., established in 1996 in Taichung County, central Taiwan, has been specialized in manufacturing plastic tubes and stripes as a dedicated OEM in its line. 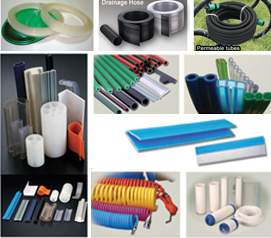 The company turns out a variety of liners, including braid tubes, air hoses, green hoses,filter tubes for water filters, hold-down stripes for printing machines,garden hoses, sprinkler conduits, handbag piping and irregularly shaped rigid and flexible tubes and strips. Also, Day Tay's 30-year experience in plastic extrusion enables it to consummately apply a variety of industrial plastic materials, including PVC, PE, ABS, EVA, PS, TPU and PP, in development and production of tubes and stripes for different purposes on an ODM basis.